Does doing challenging tasks, getting stinky and possibly bloody sound like fun? If so, we are seeking eight two person teams to compete at our 16th Anniversary Party which will be held on the afternoon of Sunday, June 13. 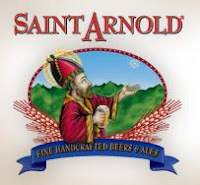 If interested, send the name of your team along with the names of the two team members (include email address and phone number) to ann@saintarnold.com. A random drawing of teams will be made if there are more than 8 teams submitted. More information about the actual anniversary party will be released in a few weeks.